How to choose your pair of earrings? The earrings are the notorious attribute of a look and a personality, since they immediately emphasize the face and are an integral part of this portrait. Simple and discreet earrings will indeed reflect a classic style, while unlike over-sized hoop earrings or creative earrings will associate with a more couture style. 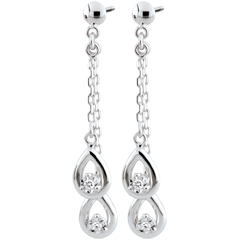 It is therefore important to discern the different types of pairs of earrings that are available to you. There is indeed a real typology of earrings models, which are organized into 3 main categories: chips, pendants, or creoles. If flea earrings are the most common, they are also the easiest to wear, because often more discreet. They are positioned on the lobe of the ear without exceeding it. It is often a gold motif, such as a heart, a flower, a knot or a spangle, or a gemstone. 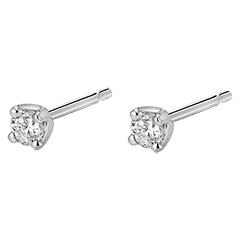 As such, the earrings diamond chip remain the inescapable and bestselling model of jewelery as jewelery. 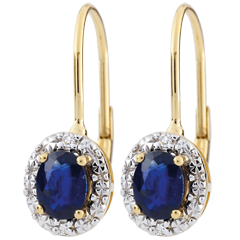 These earrings come indeed bring a touch of brilliance and distinction to the face. The earrings, known as pendants, are models suspended from the earlobe, which go down the along the neck. 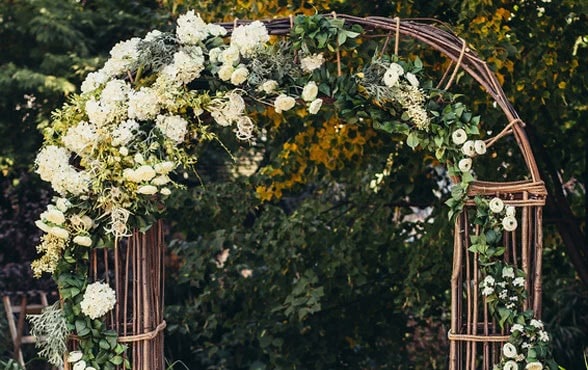 They bring movement and a touch of delicate femininity to the face. Finally, the creoles, these rings more or less thick, more or less large diameter, eternal symbol exotic, that fashion lovers revisit each season. The creoles are available in all-gold, yellow gold, white gold or rose gold versions, and gold and diamond versions. Why (s) offer a pair of gold earrings? 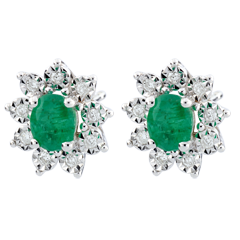 The earrings are one-size-size jewels and therefore represent an ideal and easy gift, provided that the person to whom they are addressed has pierced ears. As such, piercing ears should be done at a professional (institute or jeweler) or even in some pharmacies, which will provide a protocol and the use of healthy equipment and sterilized. Less declarative and statutory than a ring, the earrings will prove to be an ideal gift, both precious, feminine, and therefore of all occasions. With our search filter, you can easily find gold earrings to suit your budget and depending on the types of model’s chip, dangling, or Creole. Edenly also facilitates your purchase by offering free shipping, free exchange, and refund for 30 days. The brand also offers you a 20% discount on the purchase of your second jewel, whether it's a second pair of earrings or any other Edenly jewel. Earrings or How Jewellery Can Compliment Your Face. We offer you gold earrings in many different forms, so that you can find the pair of your dreams. Our diamond earrings take the form of hoops, studs, and more unusual designs. Earrings, simple and original jewellery, allow you to give the perfect present for evey occasion. One should think of earrings for the birth of a child, a birthday, celebrations or thank-yous. 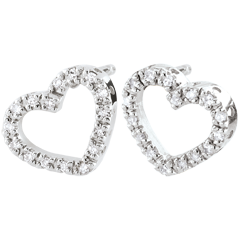 If you wish to make a declaration of love, heart earrings will be ideal and speak deeply to everybody. You know you want to make a present of earrings, but which ones to give? Use our Earrings Guide, which will help you to make the right decision in terms of her tastes, to surprise and make her happy. If you wish to make a gift and you are not sure that she would like earrings, discover our gift case, the Edenly Diamonds Box and let her make the decision. For the perfect gift with none of the worry.